If you were to take a look around my journaling table today, you might just be overwhelmed by the number of supplies. I've acquired paints galore, die cuts too many to count, stickers for days and the washi... well, they've taken over! But it wasn't always that way! When I first started Bible journaling one year ago last month, I had nothing! Not even a colored pencil! I had no stickers, die cuts, stamps... I'd never bought washi in my life. Really, I hadn't done any kind of paper crafting or art journaling at all. I was at a loss on where to start! And it seems I'm not alone on that! 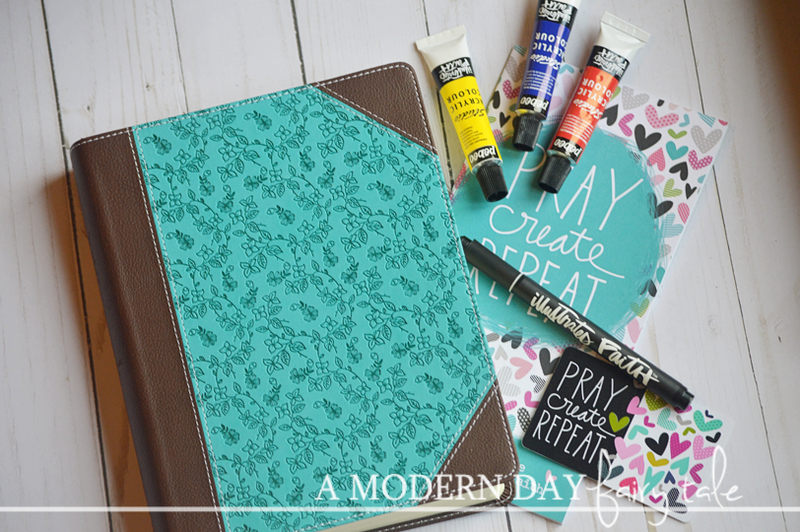 So often, when I'm asked about Bible journaling that's the number one question...what do I need to get started? 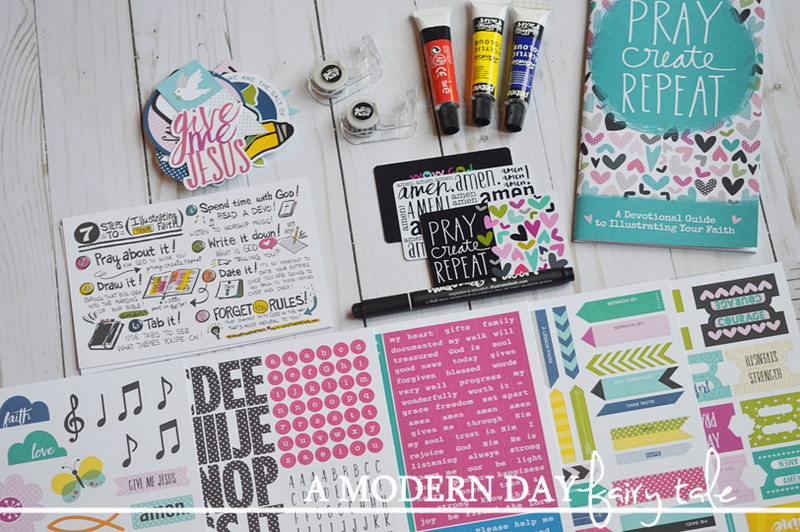 Shanna Noel, the creator of Illustrated Faith, has inspired this starter kit that includes some of her favorite must-haves: wordfetti, flags, tabs, alphabets, a pen that won't bleed through your Bible pages, and even idea starters that will help you linger longer in the Word. Revolutionize your personal journey by experiencing Illustrated Faith, a creative way to express your love for God! 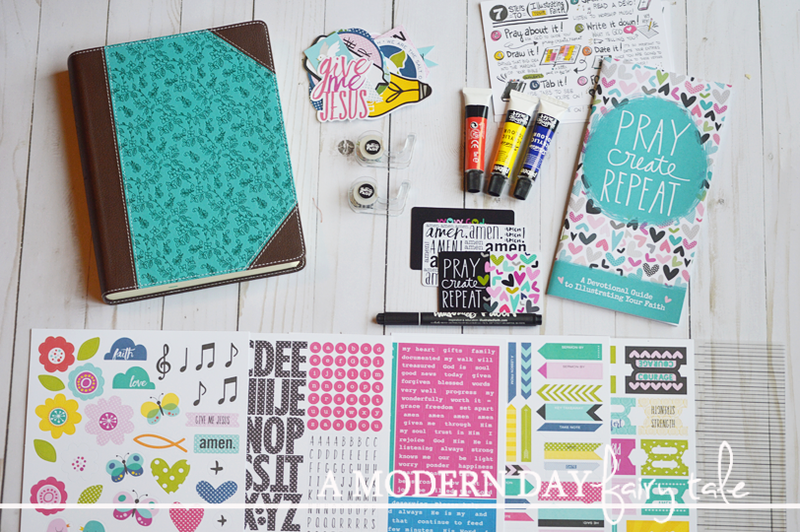 Kit contents can be used on any journaling Bible, the Illustrated Faith Praise Book, personal journals, planners, scrapbooks, and more! 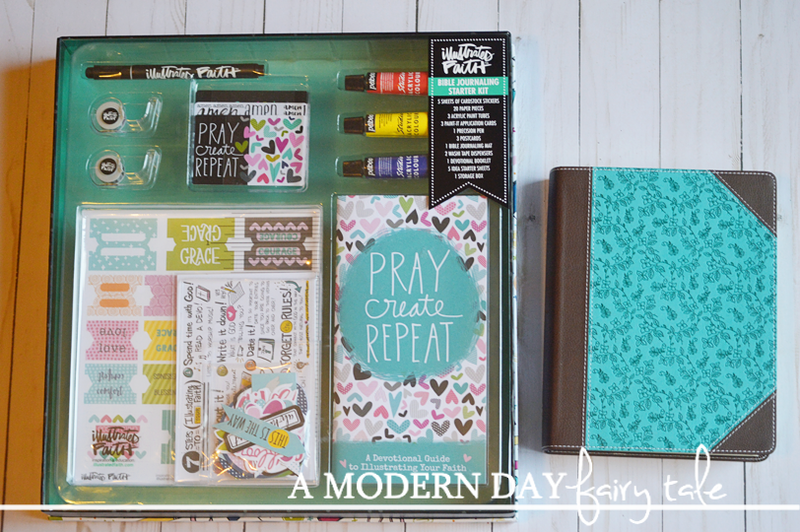 Also, this kit is a perfect way to give Bible journaling as a gift! Oh where was this kit when I was starting? It truly has everything you need. Not only does it have the supplies, but also instructions on various techniques that are great for journaling. Again, not being a natural artist myself, I have had a lot to learn this past year and continue to do so! This set is perfect for anyone looking to start journaling... but even as a more experienced journaler, I fell in love! With such a variety of supplies, it not just a great way to begin your collection, but an ideal way to expand it as well. The only thing missing? A journaling Bible, of course! But starting today, Dayspring is having an amazing deal! You can purchase a Bible + Starter kit for only $60!!! You can choose from two Bibles to best fit your style. The first- the set I received- includes the NIV Holy Bible - Journal Edition, Single Column. This is a stunning Bible featuring a gorgeous teal floral cover. Need something a little more neutral? The other set is a simple Black ESV Single Column Journaling Bible. No matter which Bible you choose, this is a $30+ savings! Amazing! 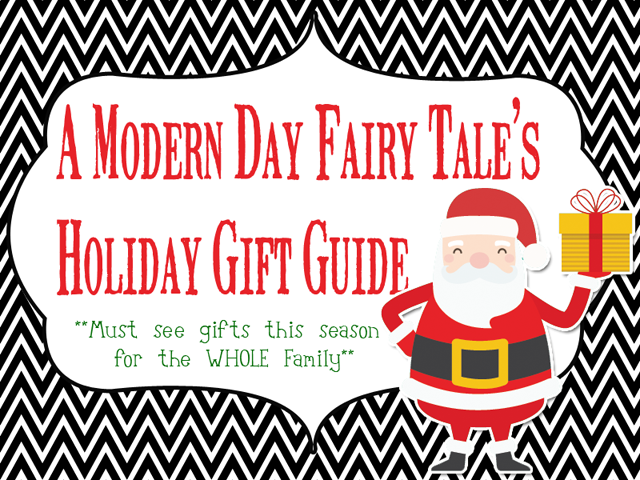 If you or someone on your list are looking to start journaling, this is one gift they will love to find under the tree! Head on over a take advantage of this great deal before its gone. 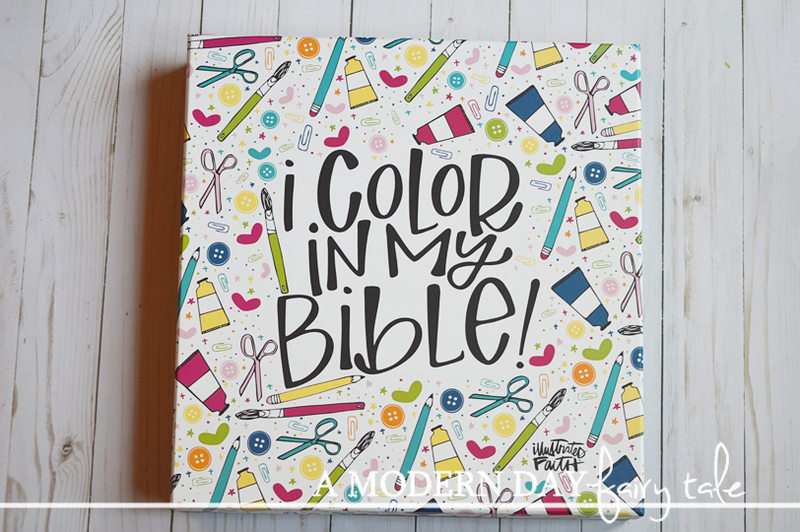 Are you looking to start Bible journaling? 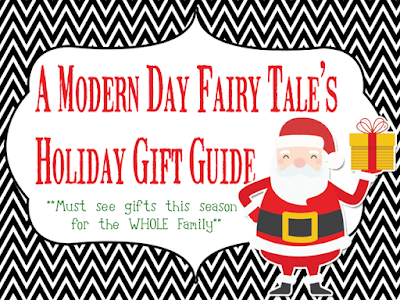 What other Illustrated Faith products are on your Christmas list? This is awesome! Even though I raised my children to believe in God and the Bible, but two of my girls don't follow Him or His word anymore. So they passed nothing onto their children. I try and keep my grandkids involved - plant the seed in them while they're young! I buy them Veggie Tales DVDs and storybooks about the Bible. This is really beautiful! I like the whole set and would love to get this for myself. I love to study the Bible and the Pray Create Repeat items are amazing!